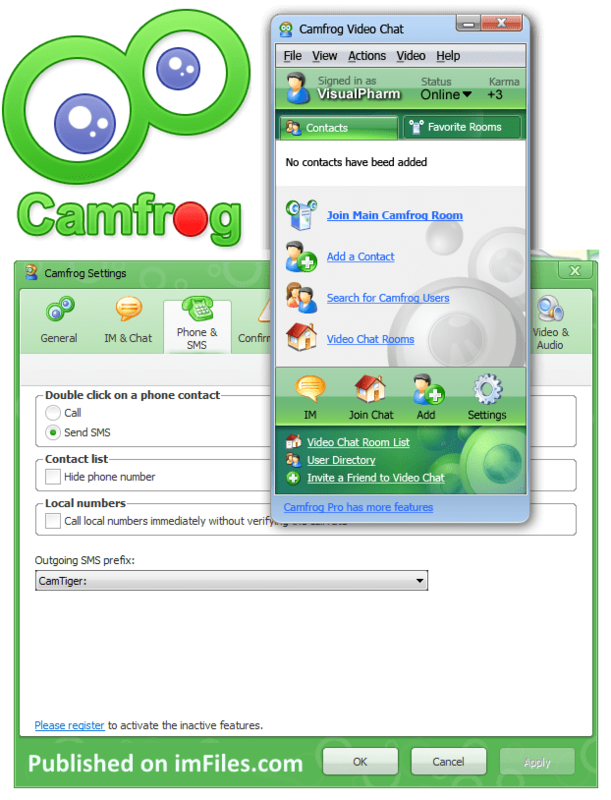 Camfrog 6.3 comes with Private group video chat with up to 3 people for FREE members and up to 8. This new version also has this changes – Games – Video chat with friends while playing games like Tic-Tac-Toe and Four-In-A-Row. HD photo and video snapshots. Import/export Chat Log history. Better Acoustic Echo Cancellation for P2P/phone calls. New Pond invite buttons. Miscellaneous stability enhancements.